Jonathan Chait hasn’t entirely convinced me that the “Mittmentum” narrative is concocted by the candidate. Is Romney massaging that narrative. Sure. Is it bogus? Not really. In swing states, Romney is polling only slightly behind George W. Bush’s 2004 numbers, and Bush won. Barack Obama’s debate performances in Long Island and Boca Raton saved him from total collapse, but they didn’t reverse his numbers. But Romney’s Great Minnesota Feint is at least as much about the Great God Momentum as it is about the candidate’s shot in Minnesota. The campaign claims the state is tied. Public polling gives Obama a narrow lead. The Romney campaign is on the air in Minneapolis. So is the Obama campaign. Bill Clinton will hit Minneapolis and Duluth today. The Romney campaign is holding… one rally, with Paul Ryan, at Signature Flight Support in Minneapolis. It starts at 4:15, when Ryan arrives after a flight from nearby La Crosse, Wisconsin. It can’t be very long, because Ryan’s supposed to be at the GOP’s victory center in Hudson, Wisconsin, at 5:05. Ryan touches down, competes with the Clinton headlines, and skedaddles. The Romney push in Pennsylvania looks more legit. 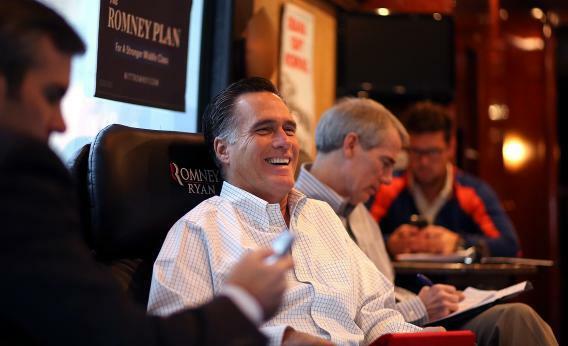 Republican officials with knowledge of the plan report that Romney’s campaign will begin running ads statewide as soon as Wednesday. The buy includes the expensive Philadelphia broadcast market, where Romney’s campaign was reluctant to invest earlier in the month. The officials spoke on condition of anonymity to discuss campaign strategy. But that looks more like the late McCain push of 2008. And that would make reporters skeptical – unless there was a simultaneous Minnesota push to talk about!